We admit it: braiding your own tresses really isn’t the easiest task, especially if you’re a styling novice. But, your hair prowess definitely shouldn’t stop you from being able to rock pretty plaits from day to night. The solution? Follow our pull through braid tutorial. 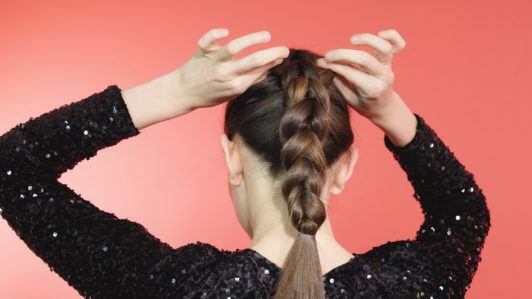 It’s by far the easiest way to fake a Dutch plait – without actually doing any weaving at all! What is a pull-through braid? Have you spotted big voluminous braids over your social feeds and thought, how? What if we told you that you too can create fuller looking updos without actually weaving a single strand? As simple to master as it is stylish, a pull-through braid is far less tricky than a French or fishtail option. You simply section the hair horizontally into separate ponytails and tie them together. Genius, no? Start with a texturising spray. Start by spraying the VO5 Dry Texturising Spray all over dry hair from root to tip. This will give the hair a textured finish and grip, so the braid is easier to create. Create your first hair section. Using your fingers or a comb, pick up a horse shoe section of hair from just above the crown. Secure with a hairband and then pin the ponytail up onto the top of your head and out of the way. Just under the first ponytail, take another horizontal section of hair that’s a similar width and create a second ponytail. Secure with an elastic and brush through the ponytail if needed to eliminate any frizz. 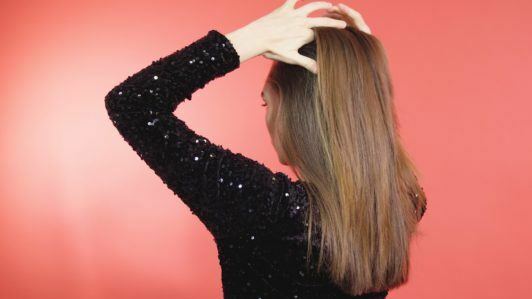 Using your hands, divide the top ponytail into two equal sections vertically. Next, pull the ponytail underneath upwards between the separated sections above and clip it to the top of the head. Repeat step two, taking a horizontal section of hair the same size as the previous two and gather it into a ponytail. Do not tie it with a hairband just yet. 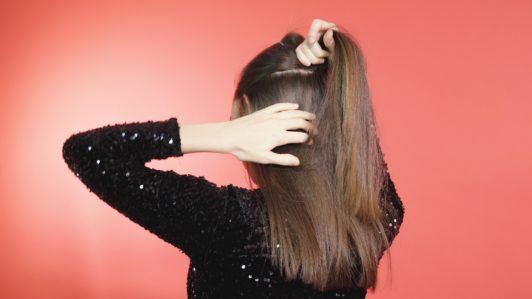 Take the two remaining sides of the divided ponytail from the top and combine them into the new ponytail. Then tie to secure it. Repeat as you move down the hair, taking horizontal sections as you go and combining them with the divided hair from the ponytail above. Continue until you reach the nape of your neck. Braid down the remaining hair. Carry on this process of splitting and securing the top ponytail as you go until you have braided all the hair. Leave a small amount loose at the bottom and secure with a hairband. Use your fingers to gently loosen the braid starting at the top and working down. Flattening the style in this way will ensure any visible hairbands that were peeking out are now hidden. You’re nearly there! Keep your intricate braid in place with a mist of TONI&GUY Tousled Texture Creation Hairspray, concentrating on the braid and the front of your hair. And that’s it! You’re now a total pro at pull-through braids. Add a little oomph to your ponytail in a matter of minutes by turning it into a pull-through braid. Start with a high or low ponytail and divide it into two sections.